Hamilton rockers the Dirty Nil are back with a video for "Pain of Infinity" off last year's Master Volume. 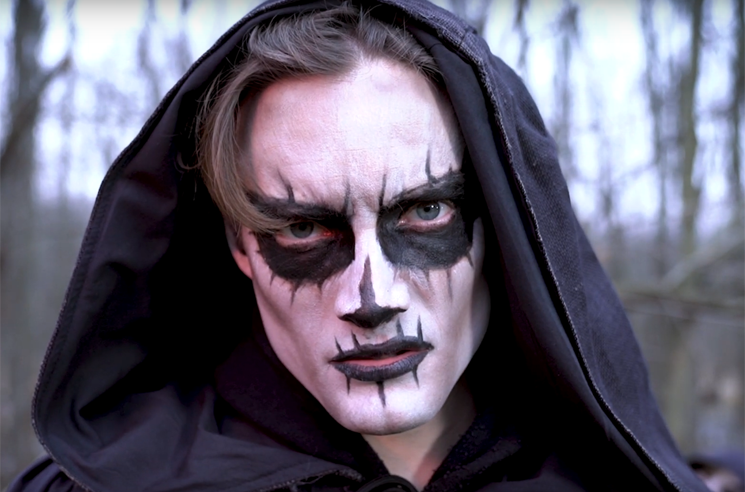 The clip sees the guys in the band posing as grim reapers, but unfortunately they're not exactly great at their jobs. Despite given multiple opportunities to steal souls, the hooded dudes seem to prefer rocking out — which leads to a disciplinary meeting with their boss. "I genuinely thought the police would be called as we rampaged through our town that day," frontman Luke Bentham said in a statement. "Smoking cars, trespassing and general mischief are all bound to raise the attention of the police. But hey, is it really a music video if there's no threat of law enforcement?" Watch the hilariously grim video for "Pain of Infinity" below. Fans can also interact with the band's new pal Ricky the Reaper — a Facebook chat bot experiment — over here.